I’m trying something new here, experimenting with my writing using F1 2010 as my inspiration. It’s no secret that I am absolutely smitten with the game and as such, I thought I could use that enthusiasm to attempt something different. 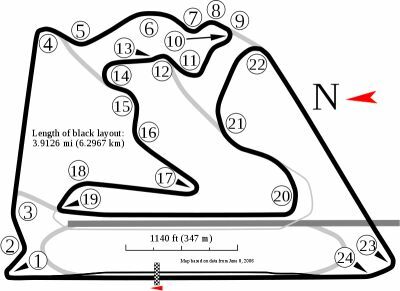 So, with this in mind, the ‘Living The Life’ series will elucidate on everything that happens during the 19 race season, ranging from my own mistakes to thoughts on my rivals and the tracks we visit; it begins in the Middle East with the first track and event of the season: Bahrain. My first Formula 1 race. Wow. I never thought I’d see this day, officially a part of the pinnacle of Motorsport. Formula 1. I owe everything to the Virgin Racing Team for giving me the drive, really. Without their faith in me I’d still be racing elsewhere. I can’t wait to finally get out on the track and start experiencing the reality of my situation -- but I must not revel in it too much, I have a job to do here, a job I’m confident I can do but, being new to all of this, one I’m also anxious about. What if I make too many mistakes and disappoint my new team? What if I cause unnecessary frustrations with my rivals? What if I… No, I must not think about that. Practice is about to begin. Whoa, I’m finally on track. 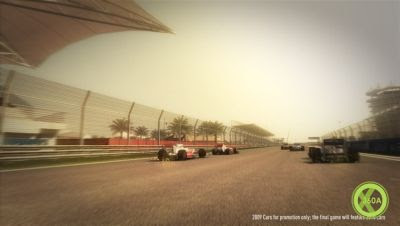 I think I will take this first lap slow, get used to things and start learning Bahrain, a circuit I’ve never been to. Wow, that first corner is much tighter than anticipated! And this complex is absolutely massive! This is daunting. What’s that? Sounds like someone else is on the track too, better pick up the pace a little. Alright, final turn, off we go for our first proper lap. Ah damn it! I knew I’d go wide on that first turn! Well this isn’t so bad. Three laps and I’m starting to get a grip on this circuit. It’s a lot bigger than I was expecting and a light tighter too. That first sector after the first straight is rather tricky but I’m slowly getting the hang of it. I quite like the long sweeping turns heading up the hill too, nice and fast -- it’s amazing how easily the car grips around those corners. Makes it feel like a rollercoaster that’s going sideways rather than up or down. I’m going to enjoy that section over the weekend. That was incredible! I guess I underestimated just what it would be like to drive an F1 car, though to my credit, it’s not something that can really be quantified. The intensity is insane, I really need to concentrate to keep my car on the track and not veer off into the dirt or Astroturf. Overall I’m quite pleased with those initial laps even if they were incredibly daunting. Not only did I have to learn the track, get a sense of my car’s performance and settle down my nerves, I went out first meaning I had the huge, vast track to myself for a little while. You really feel the emptiness around here, vast stretches of land and large run off areas really highlighting just how big the Bahrain complex is, not to mention the fact we’re in the desert. Leaving the pits and exiting that first corner, I really felt like I was venturing out on a journey, uncertain as to where it would take me. It wasn’t until I got to the final turn that I felt comfortable again, the pit area’s close proximity easing my stress. Interestingly, I noticed that a similar feeling of adventure occurs with each lap, but I became more comfortable with it. It must be a byproduct of our location. I made a few mistakes unfortunately, partly because I was unfamiliar with the track but also because I was getting accustomed to the car. I ran wide a lot more than I’d like and almost spun a few times thanks to wheelspin, but it wasn’t too bad. I’m disappointed in myself for cutting the final corner a few times, I didn’t mean to but I understand why I was warned about it. It’s quite a deceptive corner that one, easily visible but hard to find the apex due to its quick speed and strange angle. I’ll get the hang of it over the weekend I’m sure. Whenever other cars were close by I intentionally stayed out of their way: I didn’t want to impede their progress as I learned the track and got acquainted with everything. There’s no need to bother anyone else. I’m quite pleased with myself for beating my teammate too; Lucas Di Grassi is also new to F1 this year so that should be an interesting, fun mini-rivalry as we progress through the season. Alright! Practice 2 was much better! I managed to set some nice, clean lap times and I’ve got a better handle on the circuit now, making fewer mistakes. I even managed to reach as high as 12th position at one stage! Interestingly I begun to understand my opponents’ approach to practice as I observed their driving styles and found my own spot and rhythm within. They don’t go for fast lap times necessarily, more just putting some times in to get a feel for the track and maybe experiment with some settings -- they ventured in and out of the pits a fair bit. The session was good because I started to find the limits of the track, including ideal braking points and just how hard I could push the car around the corners. Using this to my advantage I attempted some fast times which saw mixed success: I accidentally cut the final corner again and ran wide a few more times, but otherwise it was good to give it a go and get much closer to the track’s real speed. It was quite cloudy though so no doubt that helped with the track conditions. Boy am I exhausted though! I definitely underestimated things and need to really focus to get the best out of the car. I’m going to bed early so I can recuperate for tomorrow. I had an interview before starting practice 3, my first ever conversation with the press. Their questions were a little strange though and I wasn’t quite sure how to answer them. How can I judge where I stand amongst my rivals, and indeed for the entire season, so early into my first event? And how can I nominate who my closest opponent will be when I haven’t even raced yet? Hopefully future interviews are a little easier to deal with. Practice 3 was the best of the bunch, for sure. I focused hard and ensured some more clean laps, even improving my lap times along the way. I learned more about how my opponents approach the session -- some of those lap times are absolutely amazing! -- as well as what I could and couldn’t do on the circuit. I’ve got a good handle on Bahrain now, I think, which gives me confidence heading into my first ever qualifying session. I just wish I didn’t spin twice as it felt silly and a stark contrast to my otherwise clean performance. I suppose some mistakes are to be expected, though. At least I made it to 10th! Alright, this is it. No more experimentation or learning, this is the business end of the weekend. I need to focus, try not to make any mistakes and set a good lap time. My first ever grid position will depend on it and I don’t want to disappoint my team nor myself. Wish me luck! Oh man that was insane! I’m ecstatic that I made it through Quali 1 and into Quali 2 -- that’s way better than my own expectations! Honestly I don’t care that I didn’t make Quali 3, the top ten. That was such a rush! I can’t believe how busy it all was though, especially in Q1. I think everyone was on the track at one point, all trying not to get eliminated as they vied to progress into Q2. I still tried to stay out of the way of the others whenever I could as I just wanted to do my own thing and focus on my own qualifying session, but it can be hard to judge when I need to move over sometimes. Hopefully I didn’t annoy anyone. I also backed away whenever I caught up to someone too as I didn’t have the confidence to attempt a pass -- even if they were slow due to warming up or calming down -- in case I stuffed it up and ruined my lap time. The lap I set to move on into Q2 was good, my best around Bahrain so far. I can’t believe the pace some of these other guys are setting though. As soon as Q2 began the difference in times was staggering! I’d say it picked up a further two seconds over Q2, especially the frontrunners. Lucas was eliminated from Q1 so that must be disappointing for him but hopefully he doesn’t let it get to him too much, this is his first race after all. He should be celebrating the fact that he’s in Formula 1, I know I am! All up I ended my first qualifying session in 13th position, way further up the grid than I expected and, perhaps more importantly, exceeding my team’s expectations too. All in all a really great, satisfying performance with hardly any mistakes at all! I’m buzzing for the race tomorrow. Oh god I’m so nervous! I can’t believe that in just an hour I’ll be partaking in my first race. This feels like a dream -- it is a dream, I’ve been wanting to do this forever -- and it’s all a bit surreal. The atmosphere today is through the roof, crowds are everywhere and they’re excited to get the season underway. I echo their feelings but goddamn I’m anxious. I keep moving my knee really fast whenever I sit down. This is so daunting! Holy crap that was amazing! Not only did I finish my first ever race (! ), I can’t believe how intense and fast it was! I’ll be riding this high for a few days I think. Anyway, my start was pretty good. A little slow but acceptable in my eyes as I managed to overtake some cars heading into turn 1, but was also overtaken by a few behind me. I approached the corner cautiously as I didn’t want to out-brake myself and crash into anyone ahead -- in a way I kind of wish I started further down the order so I wouldn’t get in anyone else’s way, but oh well. Unfortunately accelerating onto the first straight out of turn 2 I was involved in an accident, perhaps expected for a rookie driver like myself. I don’t know. I was spun by Hulkenburg I think though I can’t be sure as it came from behind. Thankfully I only received minor damage so I was able to continue on. I didn’t even need to visit the pits as the team were confident that they could wait until my first pit stop to fix things. After settling into a rhythm I was able to catch and pass a few people but unfortunately I threw it away with a silly mistake that caused me to spin. I don’t even know what happened: one minute I was maintaining my pace and the next I was in the dirt facing the wrong way. It’s amazing how quickly things can change! I gathered everything back up and continued on, eventually having my first pit stop. It went okay I thought, could have been better though, and I was a little slow out of the box. Something to work on in the future, then. The guys ahead of me must have made mistakes themselves or something because I managed to catch up and pass a few again, but I screwed up and made another mistake, resulting in yet another spin. This one left me feeling quite dejected and disappointed with myself -- I remember thinking to myself: “two spins in reasonably quick succession, in the race? This is worse than the practice sessions!” -- but I casted that aside and continued on, perhaps in spite of the fact that upon recovering, I did something wrong (not sure what) and copped a black flag penalty, meaning a visit to the pits for a drive through. Once this happened I just decided to settle down and focus on finishing the race, not really trying to achieve anything other than the chance to see that chequered flag. For the rest of the race I was alone, not catching anyone and moving aside whenever the frontrunners came up behind to lap me. Even at this relaxed pace I still made a few errors such as cutting that last corner again. It’s a lot harder than it appears. In the final few laps I was surprised when my team told me over the radio that Lucas had retired -- that must have been disheartening. It certainly made my own race and its problems easier to deal with; at least I was still on the track! The last five laps or so were good, I picked up my pace again and before I knew it, there was the chequered flag -- I had just finished my first ever race. Despite the dramas within it I was quite satisfied overall with my performance and happy that I didn’t retire. I’m absolutely exhausted though -- that took a lot more effort than I was expecting and it really takes it out of you. No doubt I’ll get used to it as the season progresses but I definitely wasn’t expecting to be so tired. The mistakes I made disappointed my team, understandably, and I personally felt like the rookie driver that I am with all those mistakes I made. I really need to work on my consistency and ensure I stop cutting corners. I had fun though, an enjoyable start to my F1 career. Felipe Massa took the win (it sounded like a close race at the front because my team informed me of about four different lead changes) and the press asked me a few more silly questions afterwards. I couldn’t really answer them so I just summed up my thoughts on the race and went back to my truck to debrief with the team. Overall it was an amazing, enjoyable first race that was unfortunately marred by some mistakes. Hopefully the next race in Australia, my home Grand Prix, will be even better.